JACKET. Awesome jacket + boots. The shoes ARE Fabulous! Skit-snygga verkligen!! do you know where i can get those stunning boots? i neeeeeeed them! it want the same jacket !!!!! aww that jacket is lush! I love this outfit!! is perfect! I love reading your blogs with the ‘inspirational pictures’ too cool! Perfection. 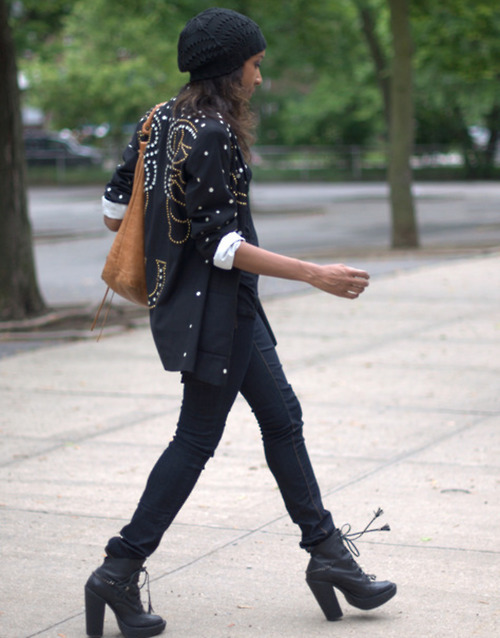 Amazing jacket plus amazing shoes = My jaw is officially dropped. Enig, utrolig herlig antrekk og jakken er rå! she’s karen! love her blog as much as i love yours!